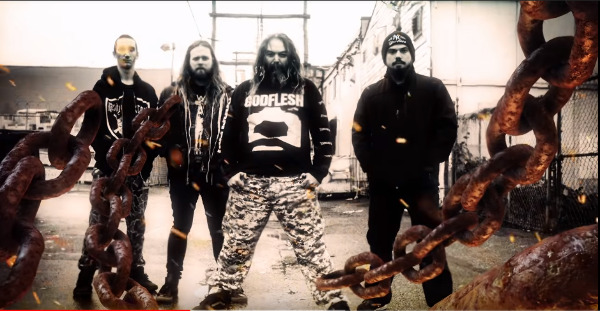 'Dead Behing The Eyes' este noua piesa semnata Soulfly pe care o puteti asculta mai jos. Formatia a colaborat cu solistul Lamb of God, Randy Blythe. Noul album Soulfly va fi lansat anul acesta pe 18 Octombrie pein Nuclear Blast. Despre colaborarea cu Randy, Cavalera a declarat: "It was really cool. Randy really tight with Josh and Josh has done all the LAMB OF GOD stuff, and he was working on the BURN THE PRIEST record, so I just told Josh to give him the tracks and, 'Show them to him, and if there's anything he likes, if he wants to sing on it, it's all cool.' I didn't have a song for him, so he showed him everything and what Josh told me was that they were listening to it, and the minute that song came on, it was nicknamed 'Bruiser Brothers', and the minute he heard it, it was, like, 'That's it! This is the one! I don't wanna hear anything else.' I had already written the lyrics, so I sent him all my lyrics and it was just good to have the Randy voice on it. He's got a real distinctive voice, really unique and that's what I like about guys like him. It's very original and you know it's him."